Enable more timely payments and lower collection costs. Manage information access through a web-based administrative console. Limit access by user, role, folder, document and/or data field. Maintain round-the-clock visibility of who is accessing, printing or emailing financial records. Grant contractors and others read-only access to content, minimizing the need for A/P staff to pull files and provide status updates. Help ensure compliance with DoD 5015.2-certified records management tools. Want to know more? 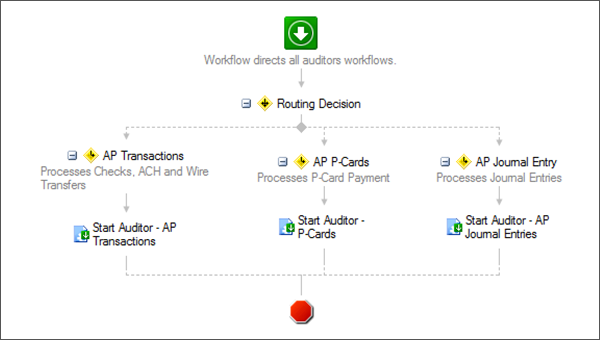 Request an AP processing demo today. 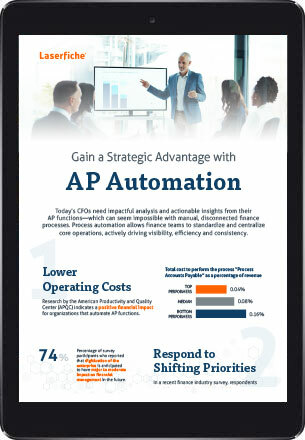 Take a look how process automation can help your organization gain a strategic advantage and tackle the challenges of invoice processing.